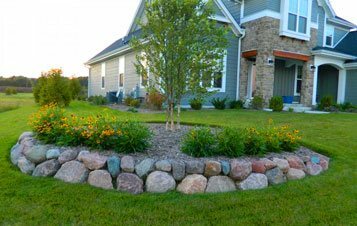 Welcome to Lawnscapers, Inc. Cedarburg, WI ! Thank you for your interest in Lawnscapers Inc. and Belgard hardscape products. We strive to "Enhance your outdoors, by turning your vision into reality". 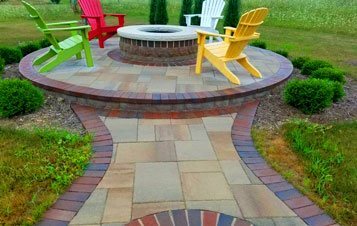 Lawnscapers Inc. is a full service landscape design and Installation Company, founded in 1987, and is family owned and operated. 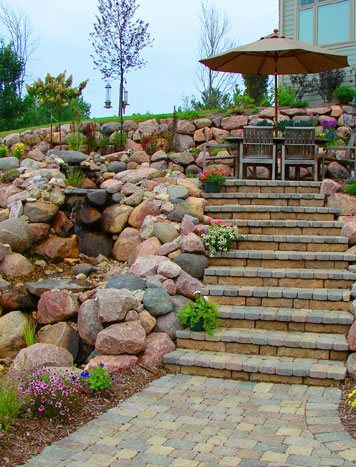 We are a Belgard authorized contractor and have had a partnership with Belgard since 2005. 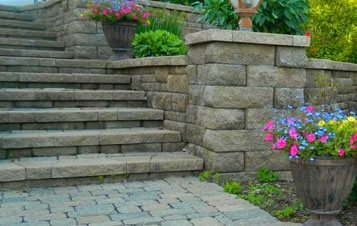 We specialize in patio's, retaining walls, seating walls, stairs, pillars, firepits, custom fireplaces, plantings, drainage solutions, excavating, grading, plantings, and seeding. 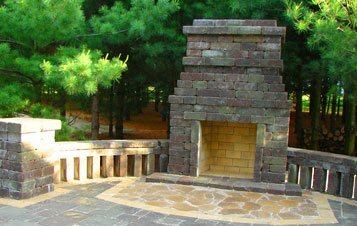 We also install Harmony Outdoor Elements and Chicago Brick Ovens. We recommend that you research the products you like, get some samples and visit some examples of what you like. This helps visualize the end result. Measure your paver patios, set and mark it out in your yard, to make sure your patio is large enough. Think of your patio as an outdoor room, what would you like to do with that room? Click on our tabs below to find examples of outdoor living.